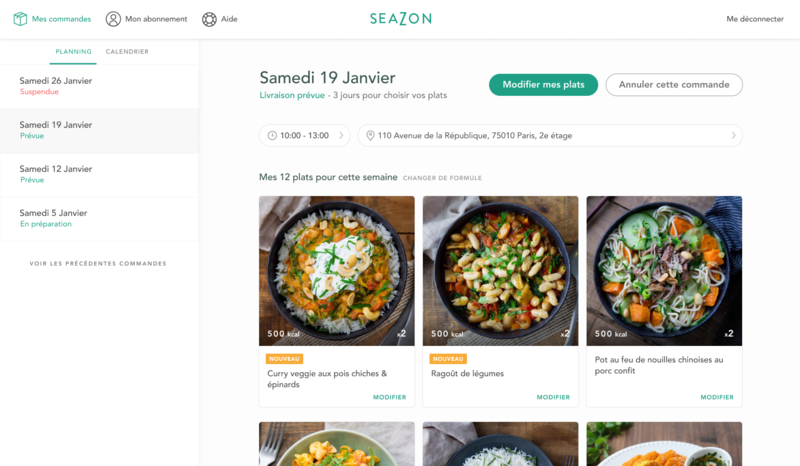 Seazon is a food delivery service. You receive every week a box of freshly prepared meal all accross France. They target families and businesses. I worked with the team from the beginning, as product and graphic designer. 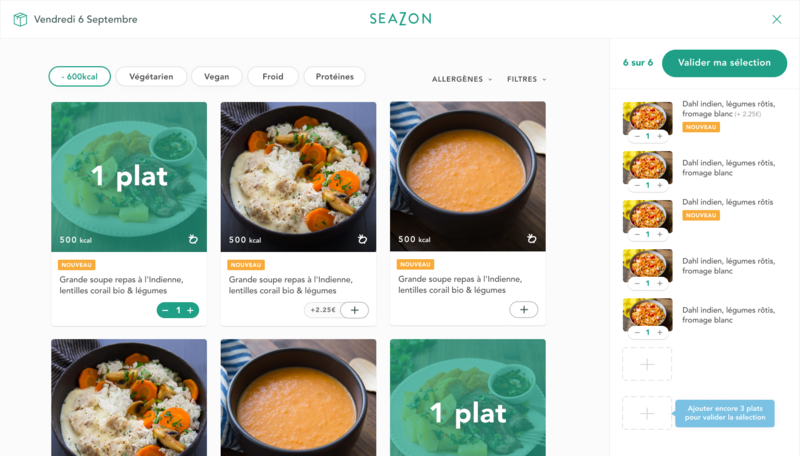 After an MVP which encountered great success and a set of data to guide our next steps, our goal was to challenge the experience on the site on every levels. The plans varies between 4 and 14+ meals for one delivery. The selection can be seen as a lot of decisions to make in the same page. That's why I added the side panel to have an overview of your selection. 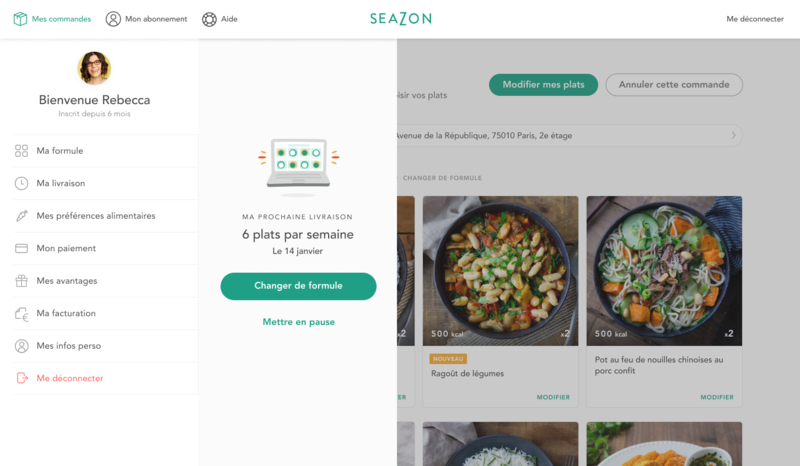 Seazon was the first service of its kind to enter the french market. In collaboration with our data science and customer service teams we collected feedback and were able to identify pain points. This helped me to improve the dashboard experience for our customers. For example, I tried different approaches to display the order details. Customers used to complain about not understanding when it was possible to change the meals for their orders. I changed the position of the information to put it earlier in the page. The negative feedbacks reduced. 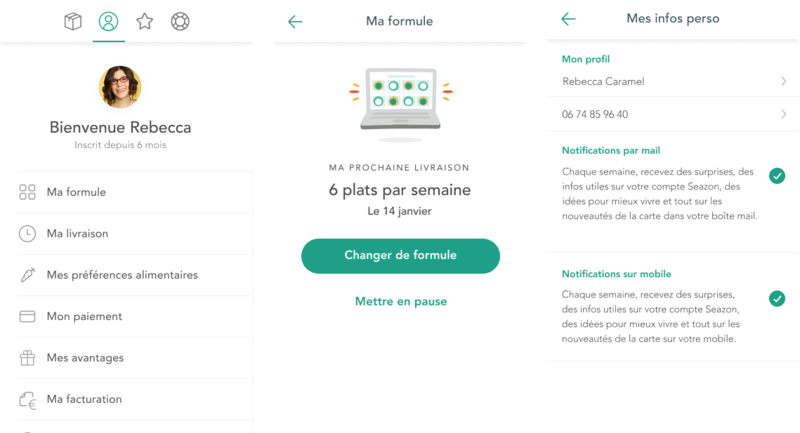 I found out that our users barely didn't use the option to change the delivery adress for a week. In the first iteration of order detail, this information took a wide space but still wasn't used. I changed the block to focus on the current address. Over time, mobile became the first device used by our clients to manage their subscription. I decided to reduce the amount of screens to maintain the focus on the mobile views. To achieve this, I built the account on desktop as a multi-depth drawer of mobile views.